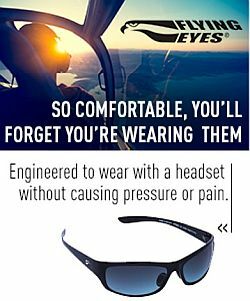 Guest Steve McNeilly is president and founder of Aviation Tutorials, providing interactive training software for pilots and flight simmers. He’s been in aviation for thirty years, he’s an airline pilot, A&P mechanic, instructor, examiner, book author, and FAA WINGS training provider. We talk about how Steve came to develop these professional grade simulation tutorials which are light on theory and heavy on “this is what you need to do.” Also, pilots using iPads, drones in the airspace, electric drive systems for airliners, thrust reverser depoyment at altitude (Steve’s done that in a DC-8). Is a Commercial Aviation Biofuel Industry Around the Corner? David Vanderhoof’s Aircraft of the Week is the D.H. 86 Express Airliner. After an “interesting” week in Australian federal politics, Minister for Transport & Infrastructure, Anthony Albanese, is now also the Deputy Prime Minister, leaving Steve & Grant to ponder whether this will be good for aviation or not. 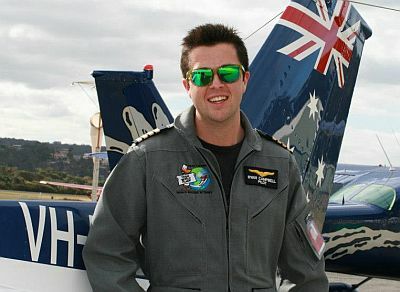 In more positive aviation news, 19 year old Ryan Campbell has set out on his attempt to become the youngest person to fly solo around the world; a record which has only recently been set by American, Jack Wiegant. 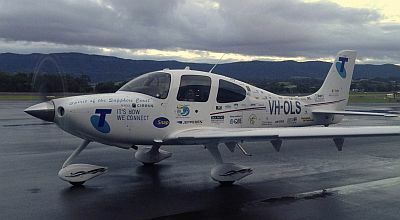 Ryan is flying in a Cirrus SR-22, VH-OLS, named “Spirit of the Sapphire Coast”, tracking east from Wollongong, just south of Sydney, across the Pacific to the USA (including a stop at Airventure 2013), then on to Europe, Asia and back to Australia. We spoke to Ryan a couple of days prior to launch and we present part of that interview in the week’s report. Follow Ryan’s progress at www.teenworldflight.com and @teenworldflight on Twitter. In other news, the Australian Transport Safety Bureau has handed down it’s findings into the cause of the Qantas A380 engine failure on board VH-OQA, in 2010. Although this has been covered earlier in the show, we popped our two cents in as well, including the fact that Rolls Royce ended up paying some hefty compensation. AirVenture 2013 Oshbash voting page. Tooele pilot lets girls fly to encourage love of flying, science. Esther Emma Rose Noffke passed away June 28, 2013. A WASP (Women Air Force Service Pilot) assigned to the 318th AAF Flying Detachment in Sweetwater, Texas, she received her pilot certificate in June 1944 and was assigned B-26 flying duty at McGowen Field, Boise, Idaho. She received the Congressional Medal in April 2010 for service to her country. This entry was posted in Episodes and tagged A380, Biofuel, drone, flight simulation, green aviation, iPad, jetBlue, Qantas, Rolls Royce, training on July 3, 2013 by maxflight. While I was at United Airlines, I had an intern in Flight Operations in 1994 named Steve McNeilly that I have lost contact with. I wonder if this is the same guy?